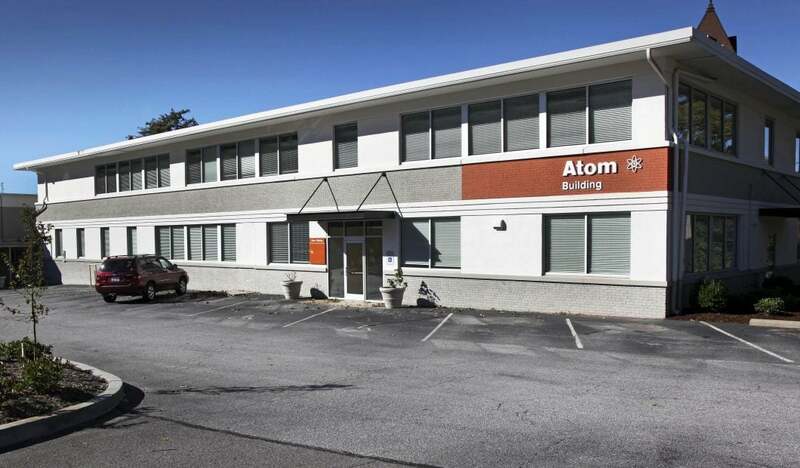 Located within Asheville’s Central Business District (CBD) on approximately 4.5 acres, College Place is comprised of five buildings with total space of approximately 72,000 Square Feet. Suites are available from 2,500 SF to 15,000 SF. This office park has been recently rebranded with a freshly painted exterior, new signage and landscaping. Ample parking and excellent visibility from College Street and I-240. The landlord will up fit to tenant specifications! Nestled between I-240 and College Street, you and your visitors will enjoy ample parking and spectacular views of downtown Asheville and surrounding mountains. Suite 1: 2,120 sq.ft. Includes 7 offices, breakroom, and private restroom. $2,500/month. Suite 2: 2,375 sq.ft. Includes 7 offices, conference room, and private restrooms. $3,000/month.